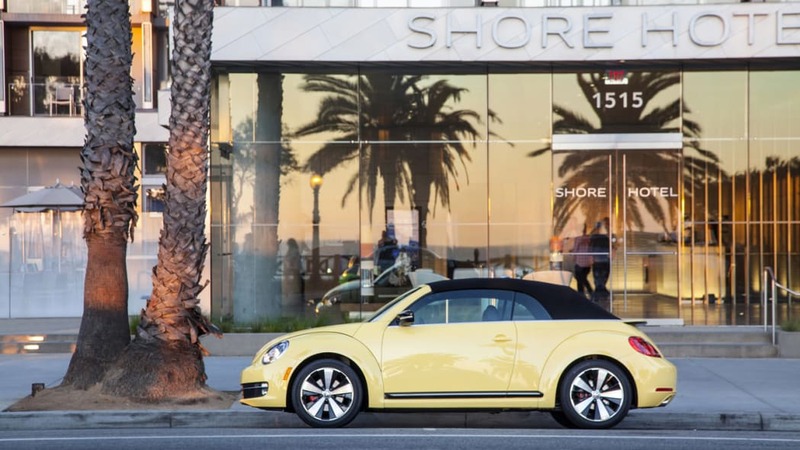 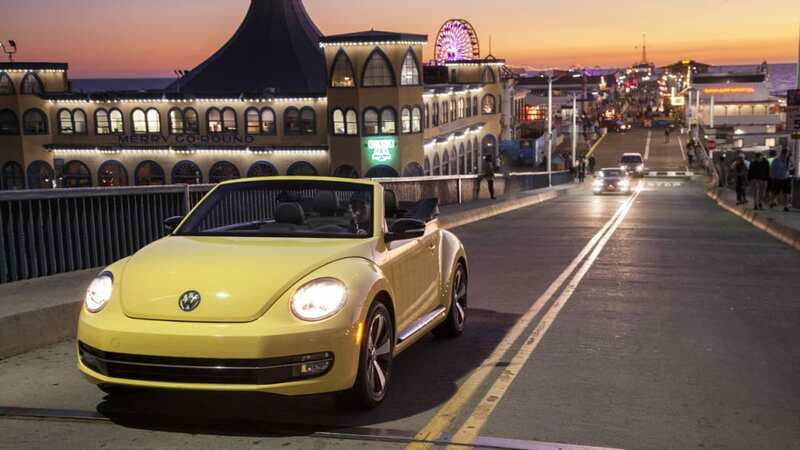 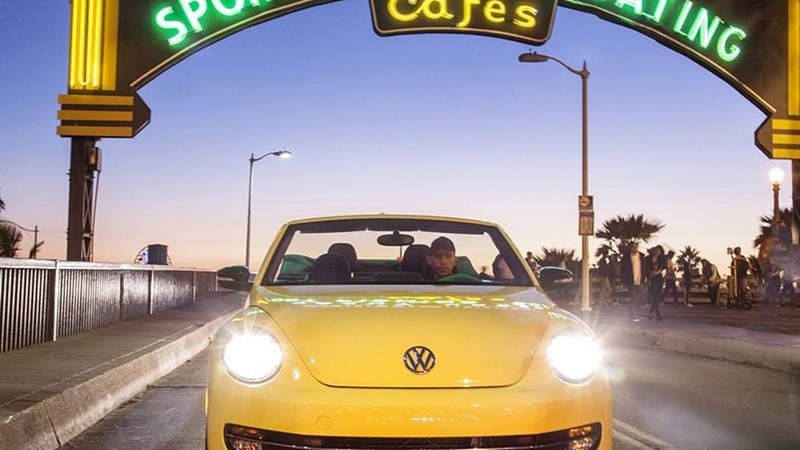 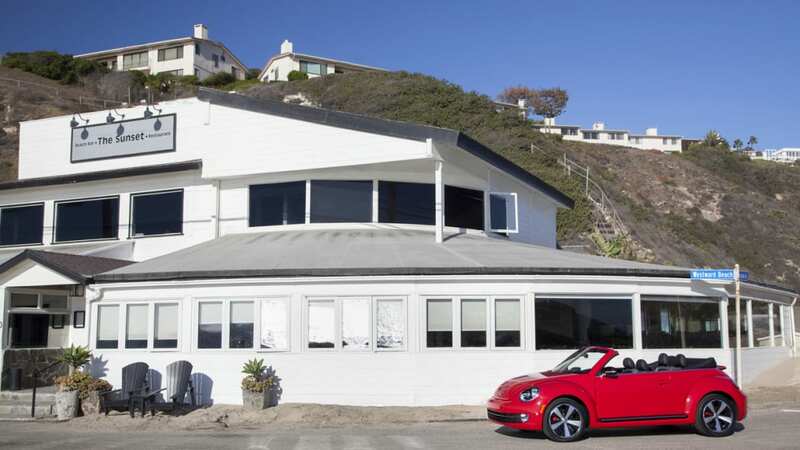 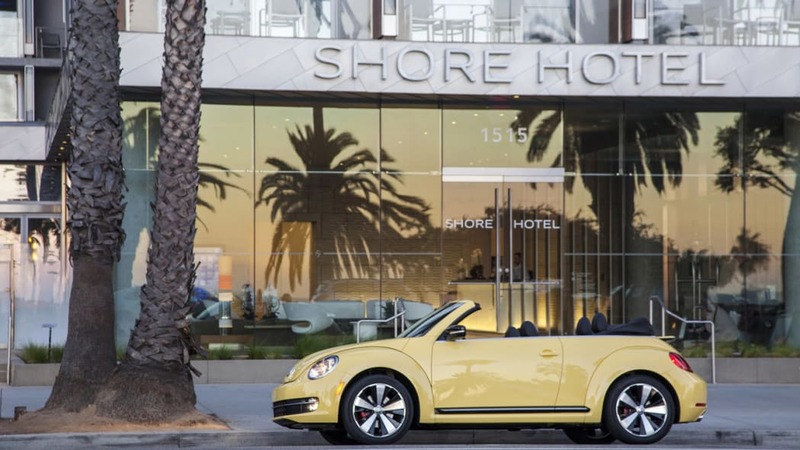 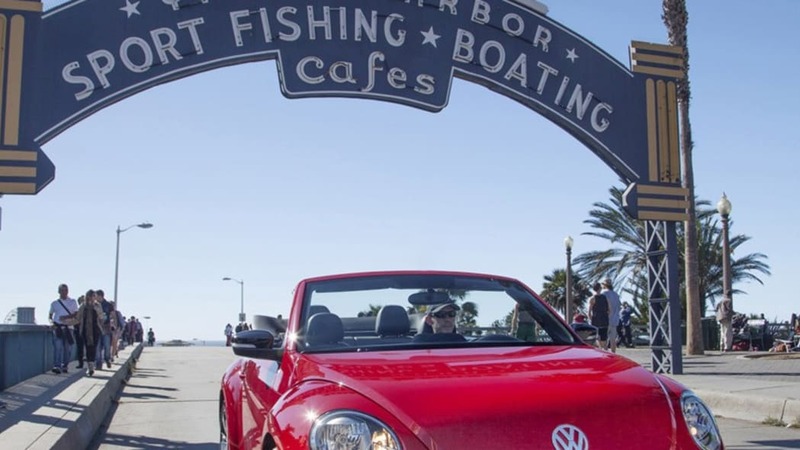 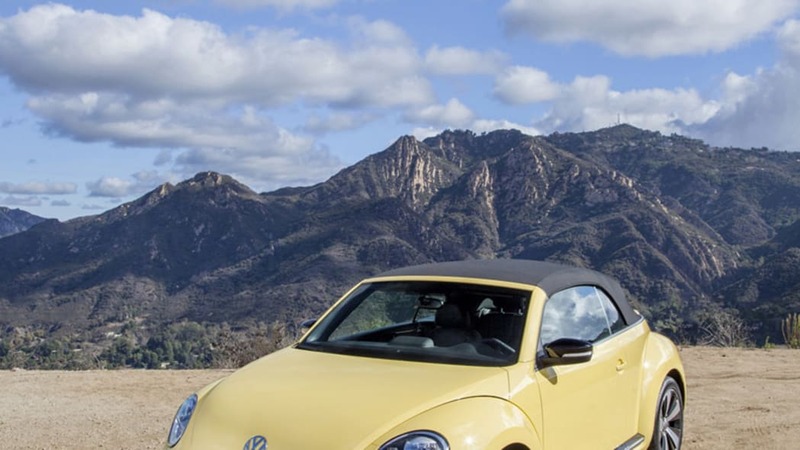 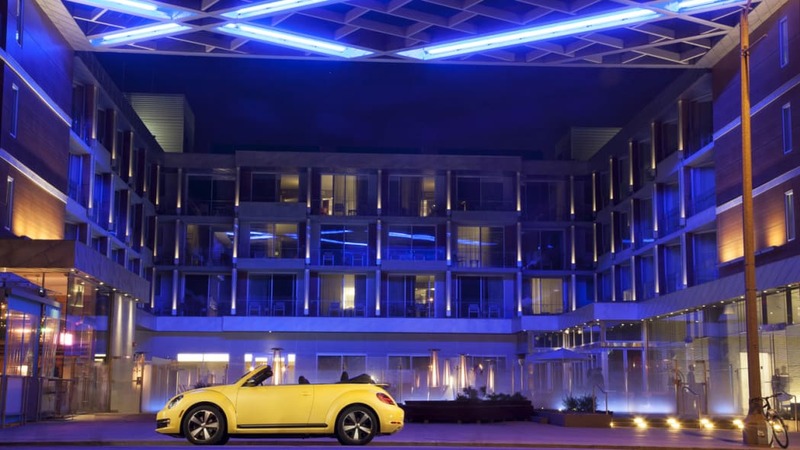 Volkswagen has pulled back the wraps on the 2013 Beetle Convertible ahead of the vehicle's debut at this year's Los Angeles Auto Show. 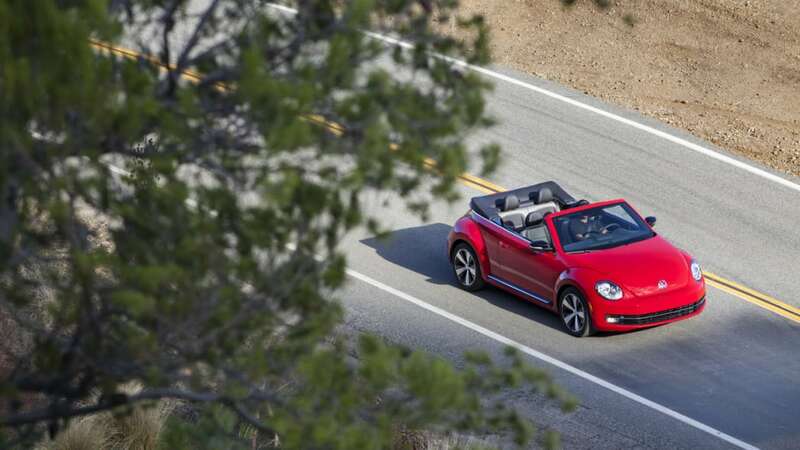 The drophead makes use of the same flattened roof line of the 2012 Beetle Coupe when the folding soft top is in place. 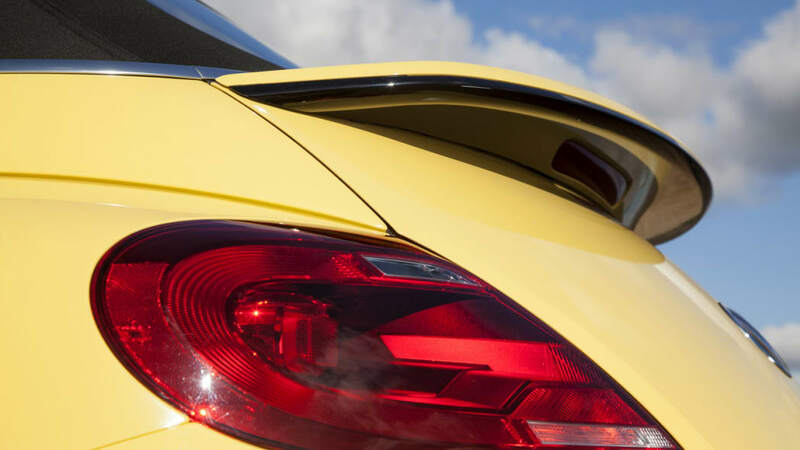 Stow the roof, and the mechanism lays flat to increase rear visibility. 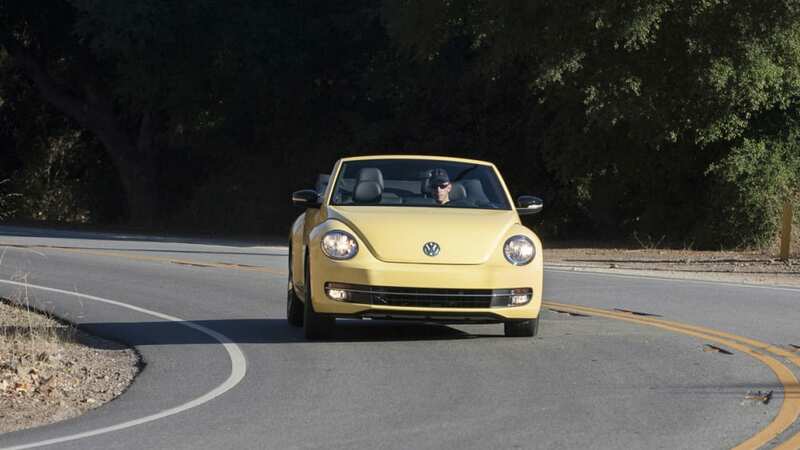 Volkswagen says the roof can go from fully stowed to in place in just 10 seconds, and engineers built in an automatic rollover support system comprised of two computer-actuated bars behind the rear seat that pop up in just four milliseconds in the event of a collision. 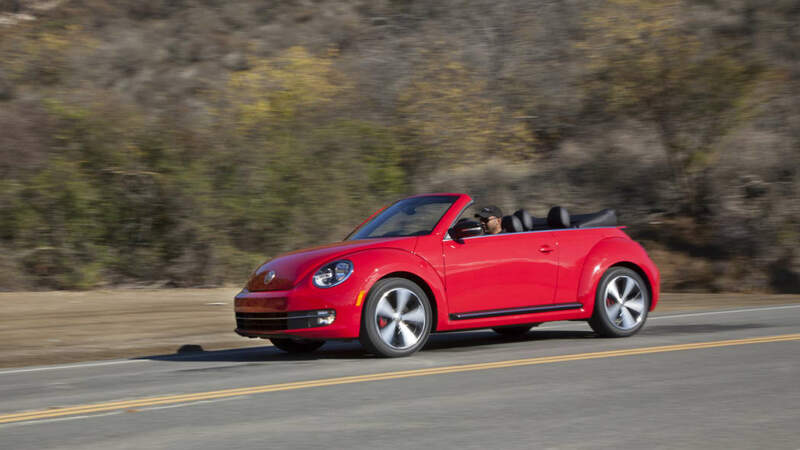 Buyers can choose between three engine options, including a 2.5-liter five-cylinder good for 170 horsepower and 177 pound-feet of torque and paired with a six-speed automatic transmission. 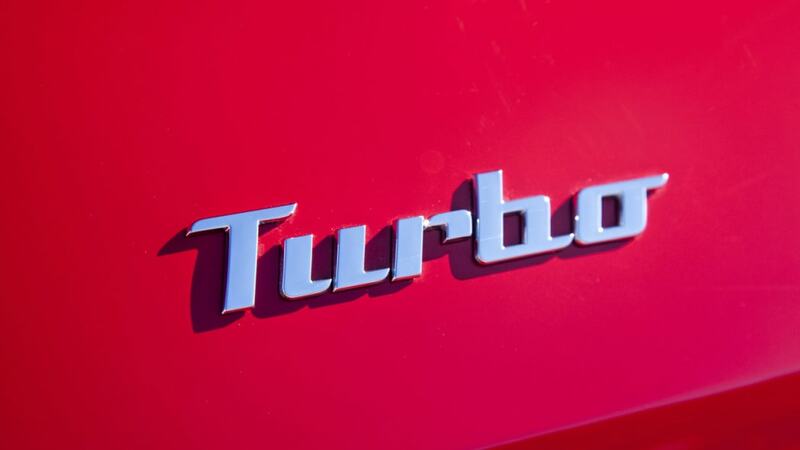 A 2.0-liter, turbocharged four-cylinder is also available with 200 hp and 207 lb-ft of torque and can be mated to either a six-speed manual or a six-speed dual-clutch gearbox. 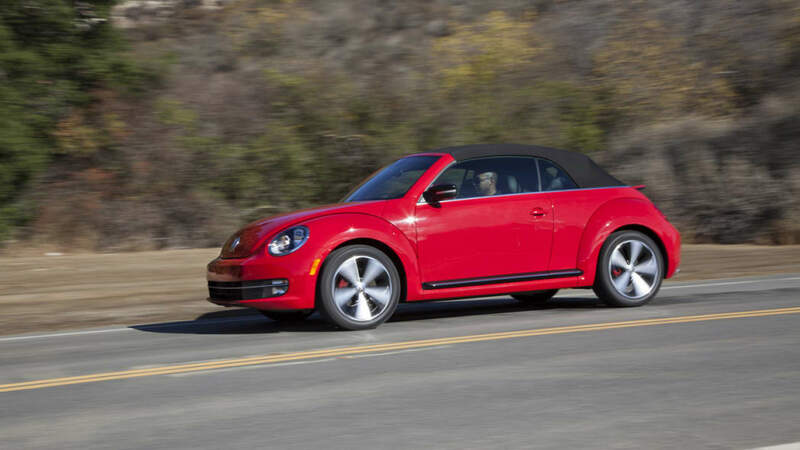 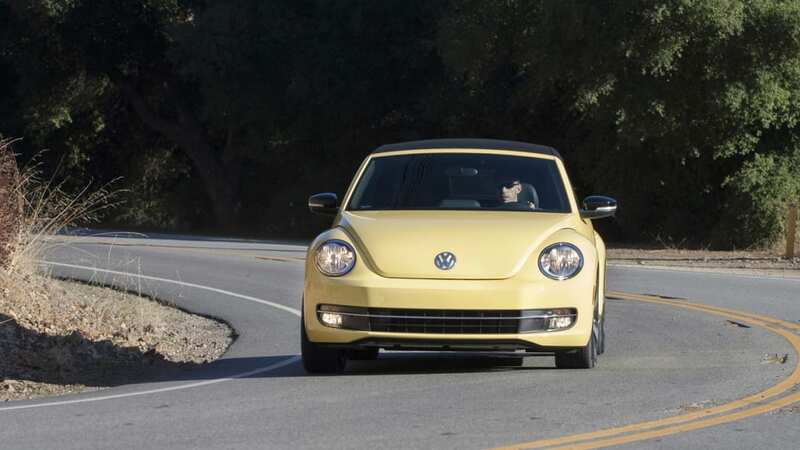 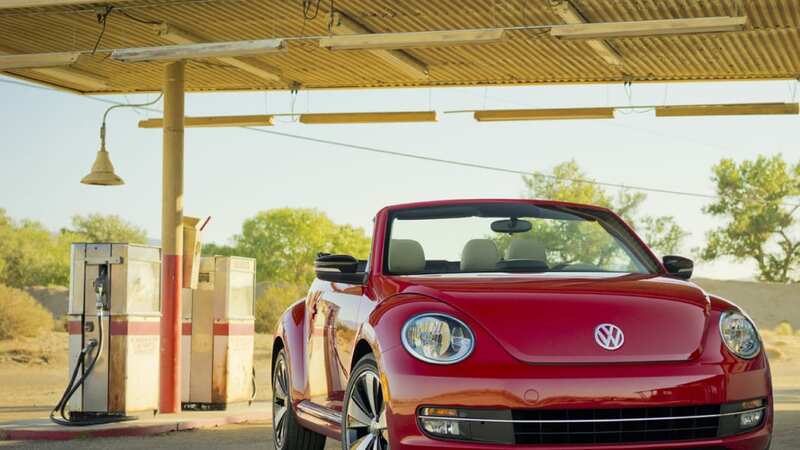 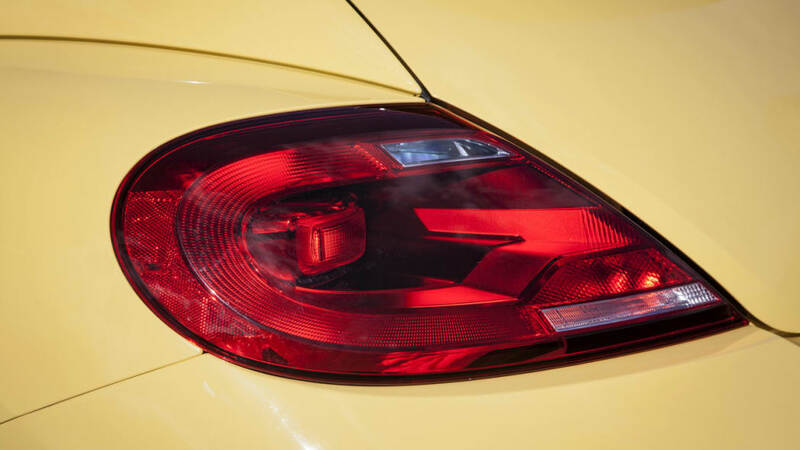 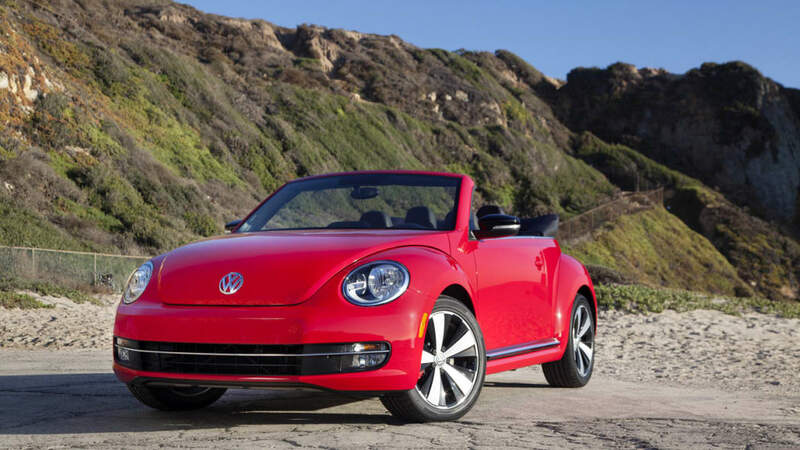 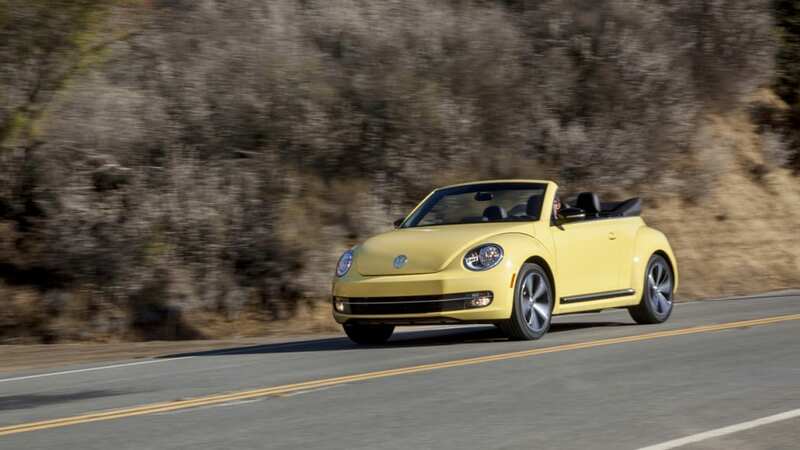 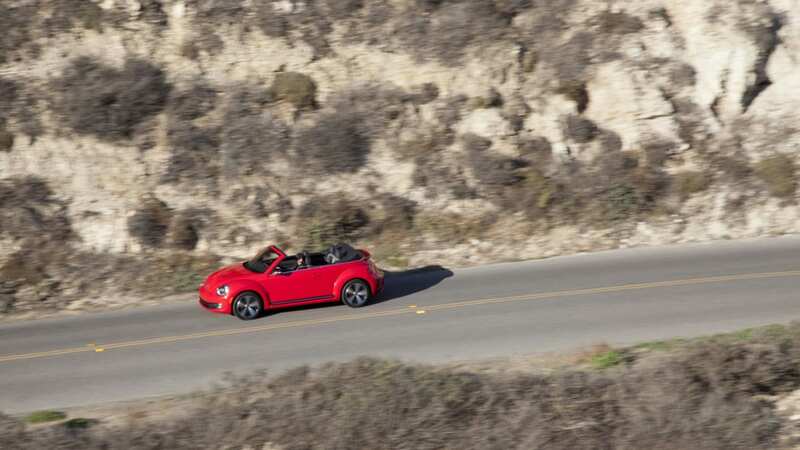 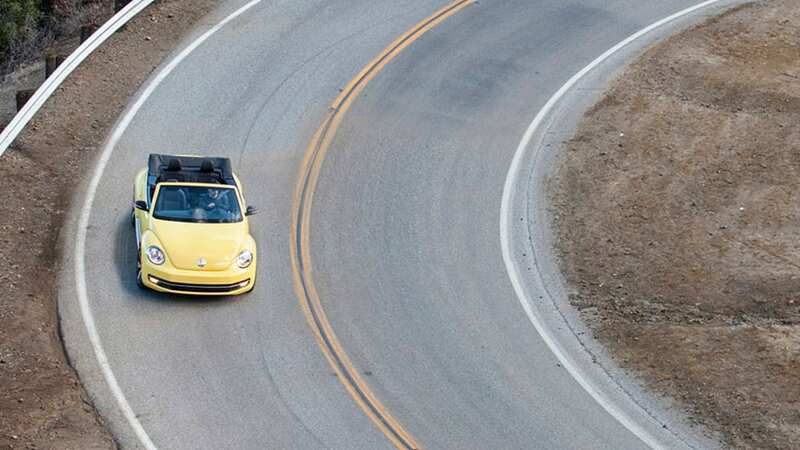 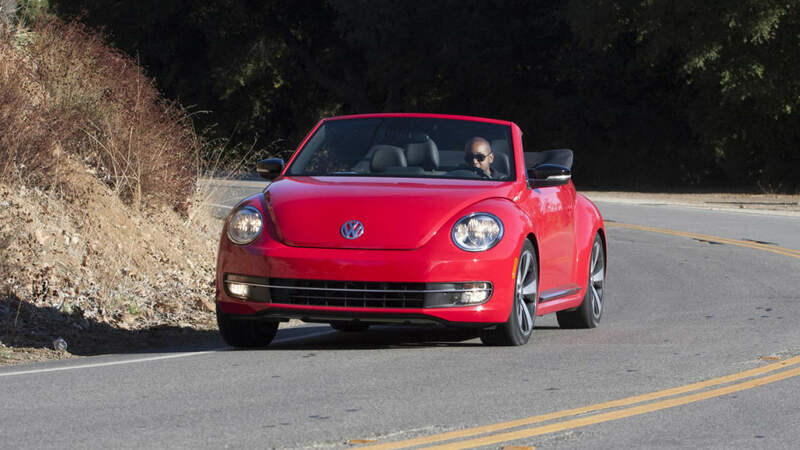 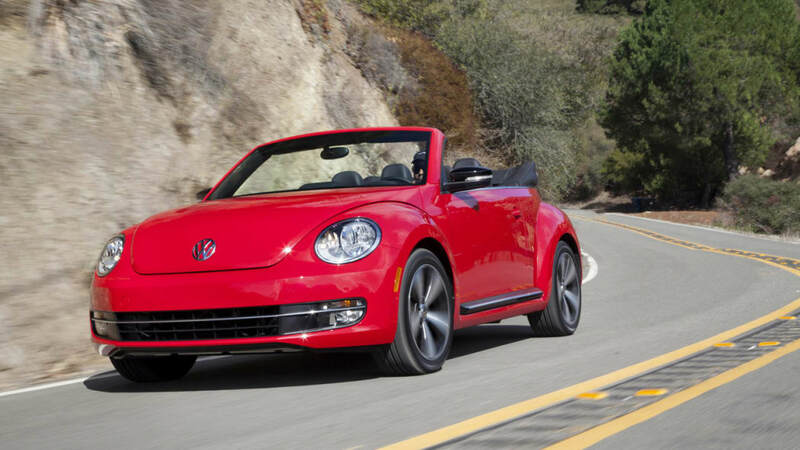 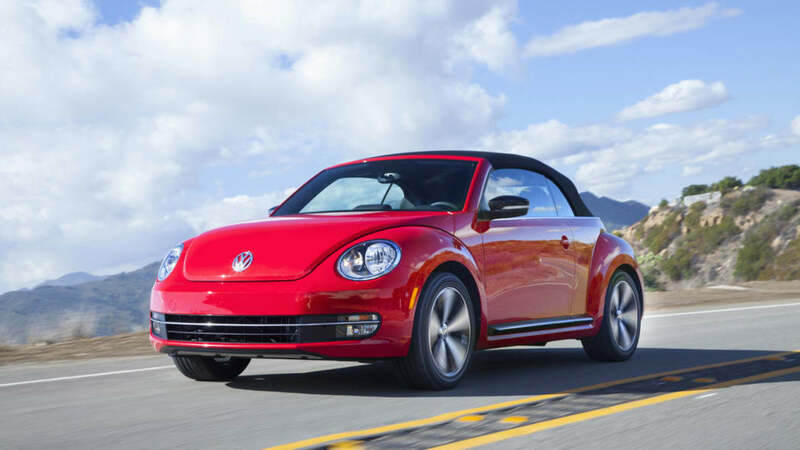 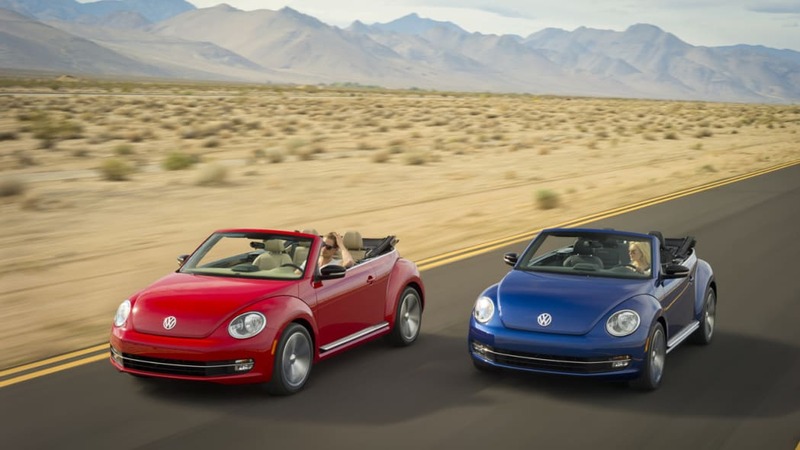 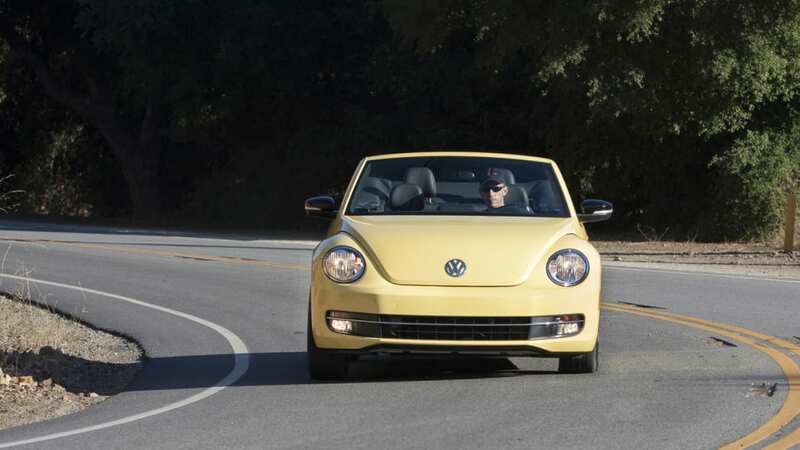 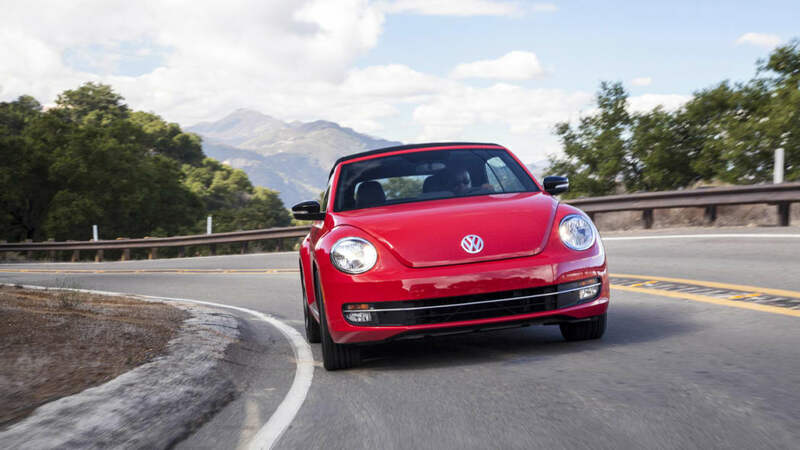 Finally, diesel buyers will be happy to hear Volkswagen will offer the 2013 Beetle Convertible with a familiar 2.0 turbo-diesel four-cylinder good for 140 hp and 236 lb-ft of torque. 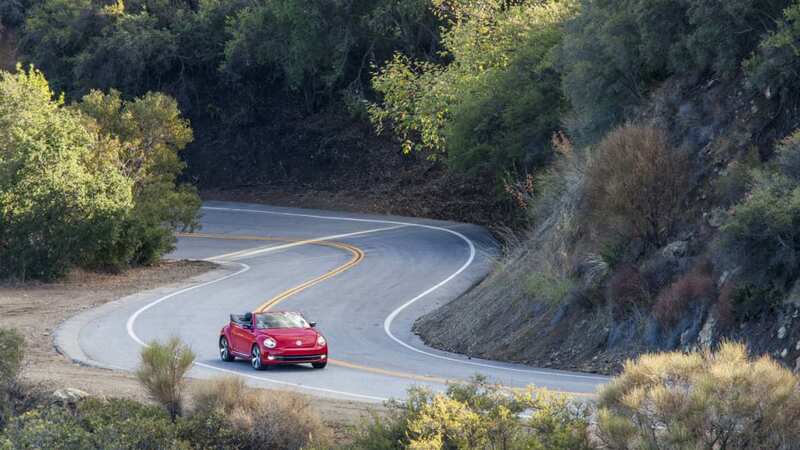 That mill can be bolted to a six-speed manual or six-speed DSG. 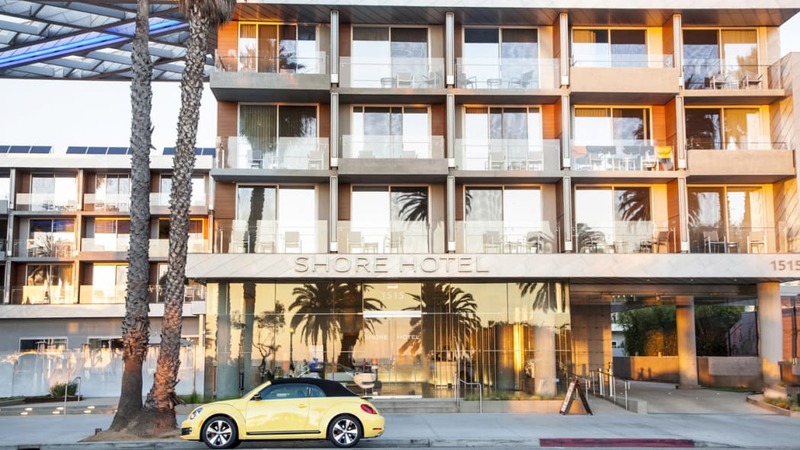 Check out the full press release below. 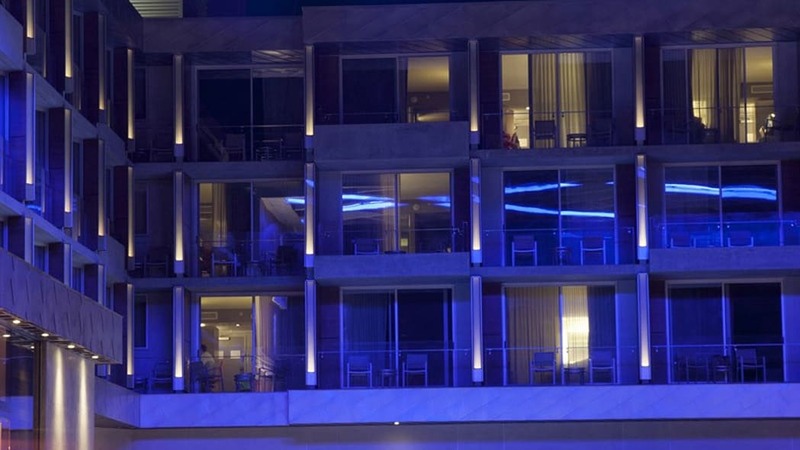 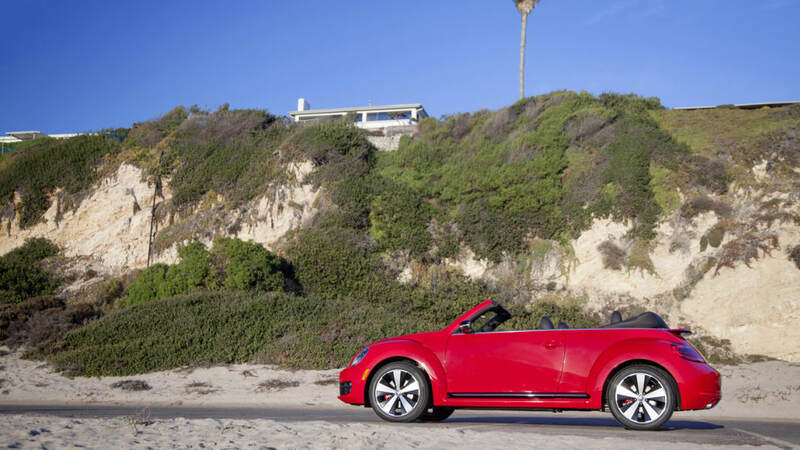 of practicality and fun for four. 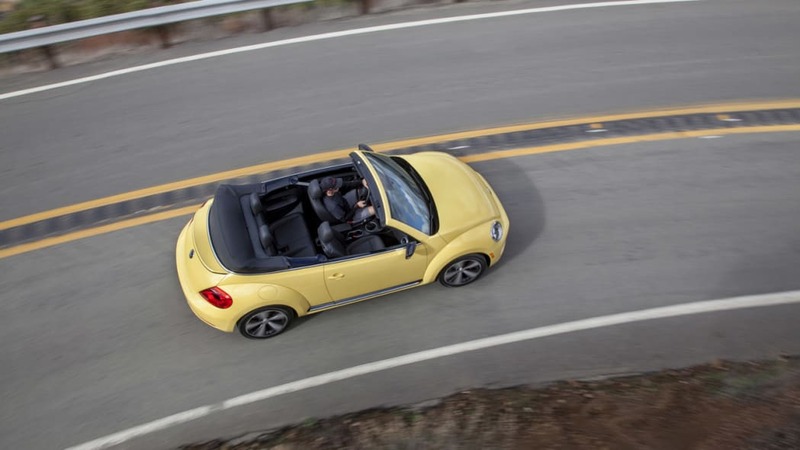 windshield gives the car a shape that's more closely aligned with the first generation of Beetle convertibles. 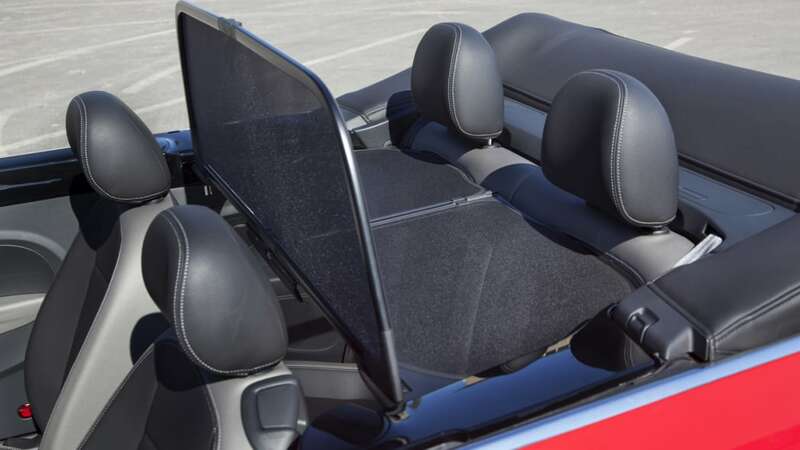 hardtop on the car. 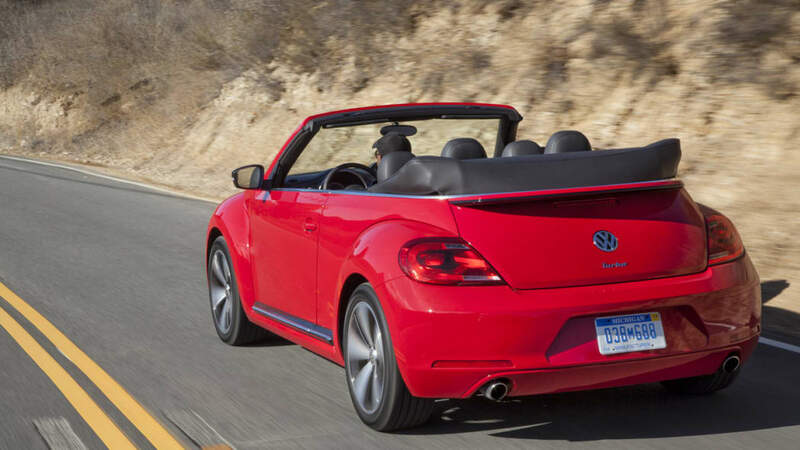 When the top is down, it lies flat, giving good rear visibility. 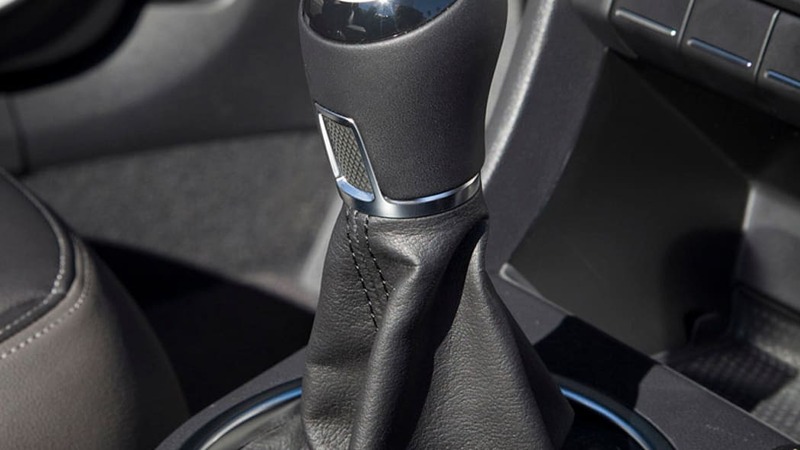 Although the top looks compact when furled, it's actually wide and long when in place, an action that takes a little over 10 seconds at the touch of a button. 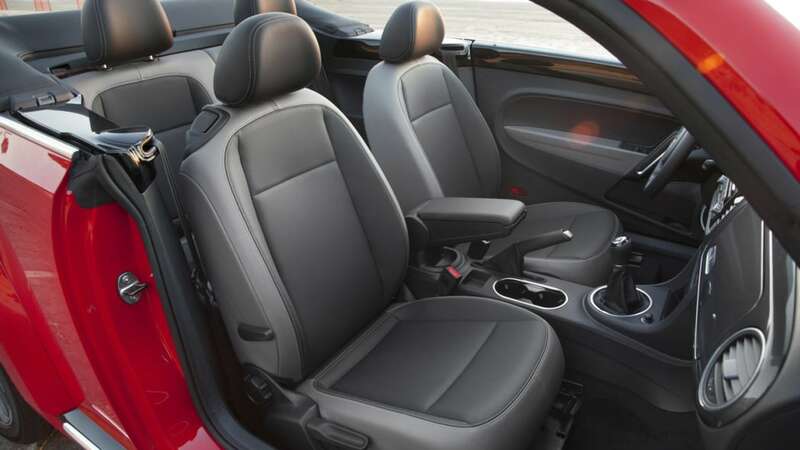 fold-down split rear bench seat increases the practicality even further. 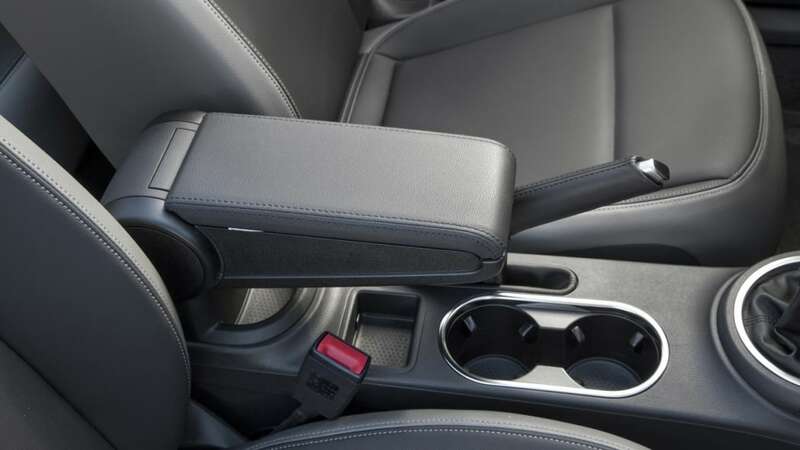 rear bench seat, activated by the computer that deploys the airbags in the case of a crash. 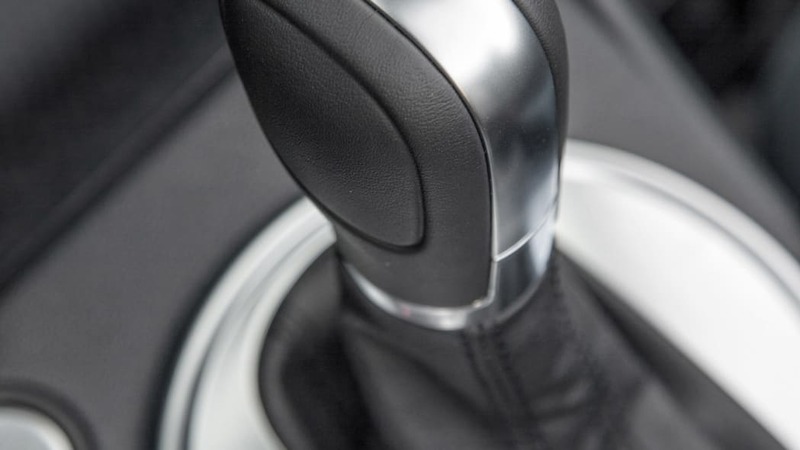 Along with the fixed A-pillars, they provide effective protection for the occupants of all four seats within milliseconds. 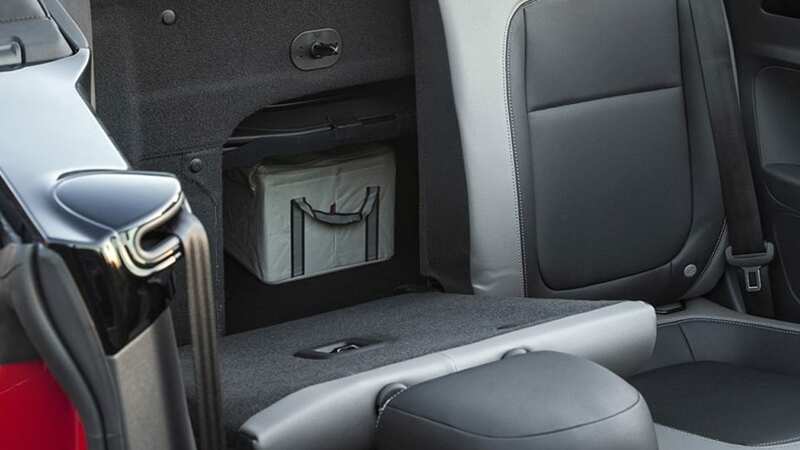 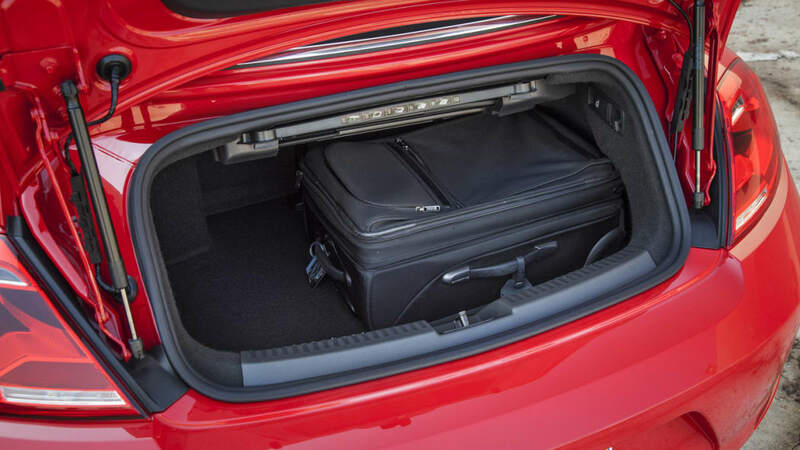 Driver and front passenger combined head-thorax airbags are also among the standard equipment. 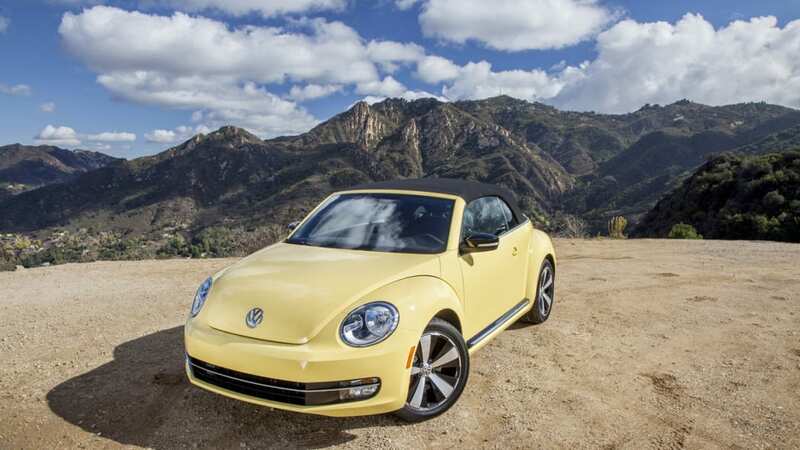 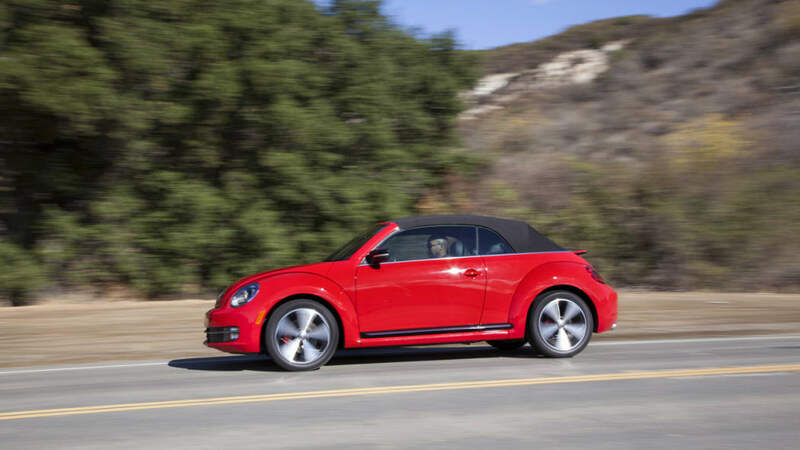 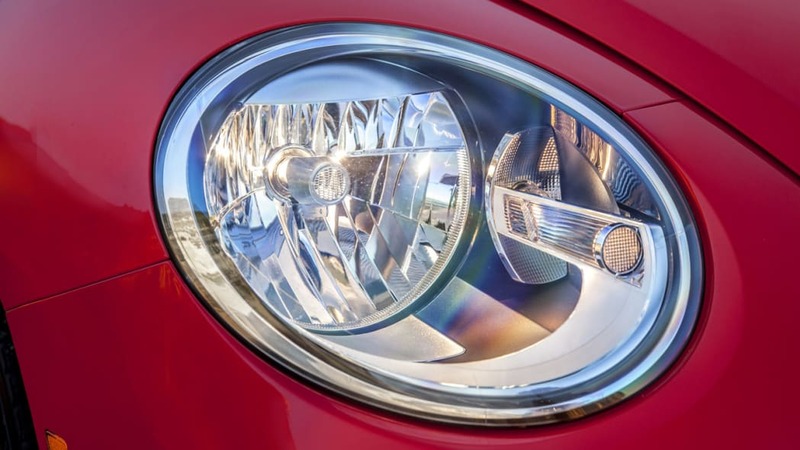 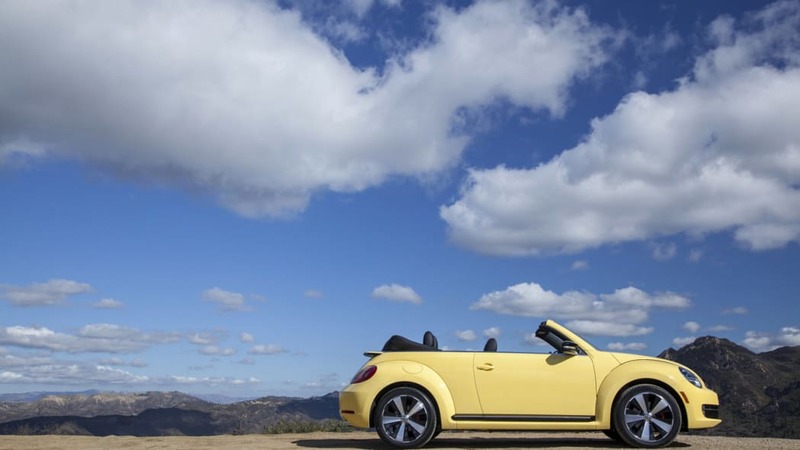 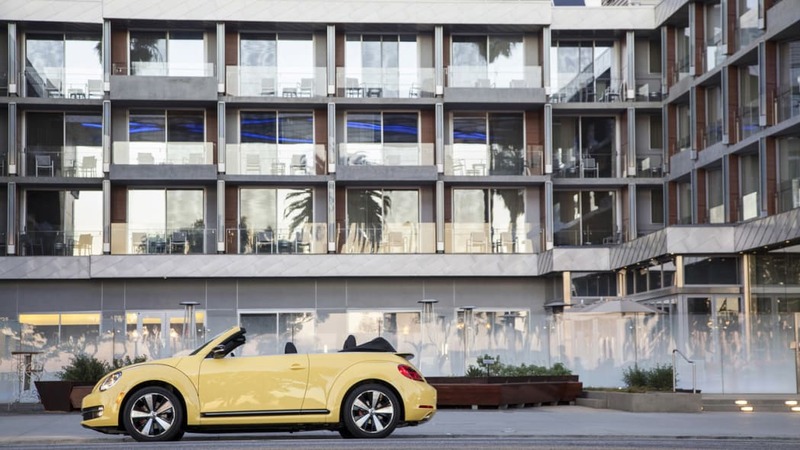 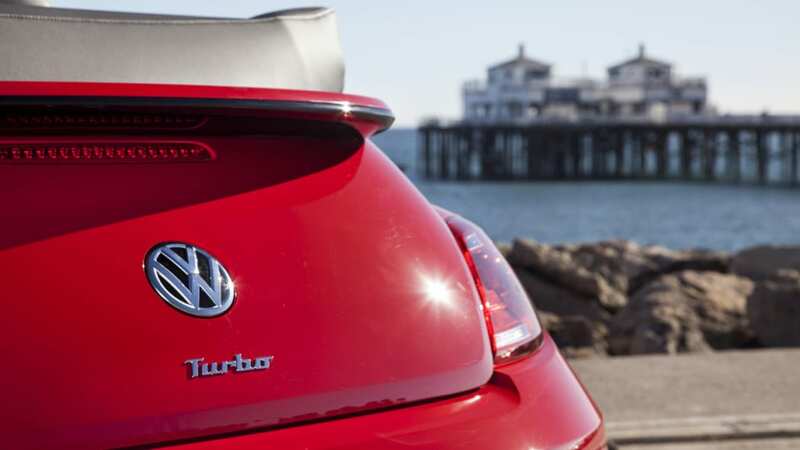 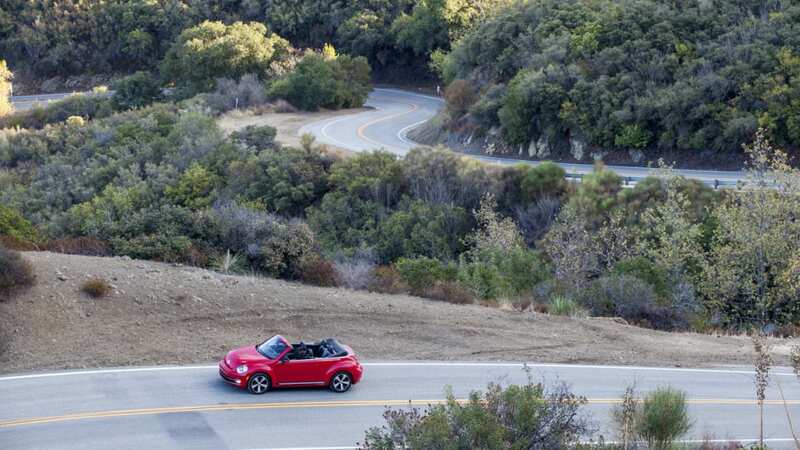 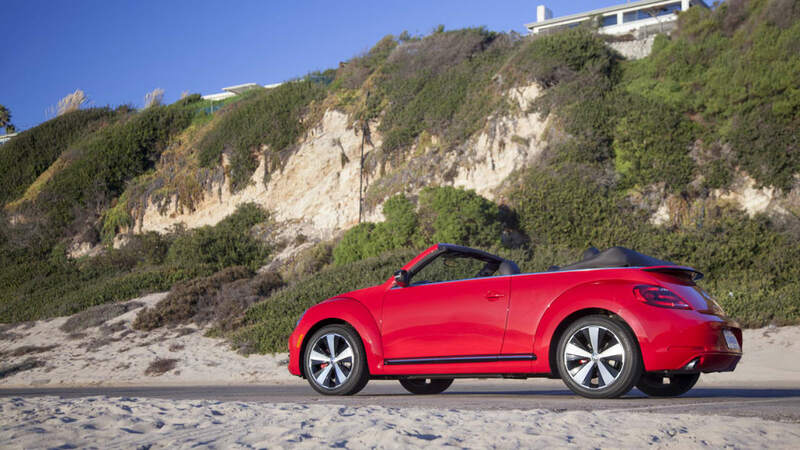 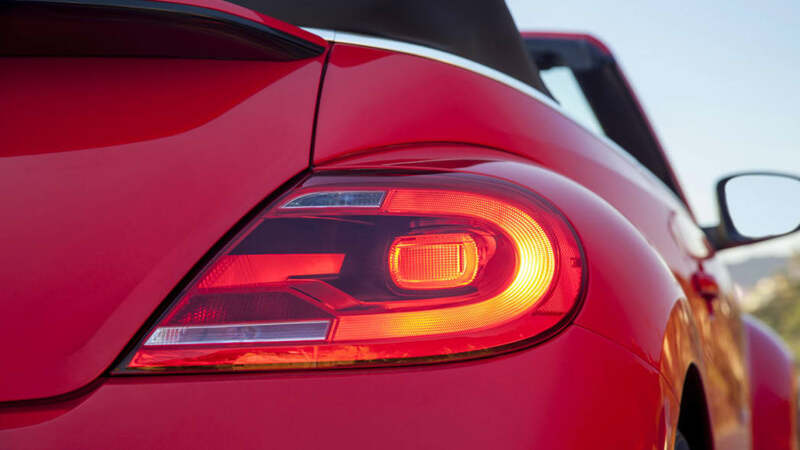 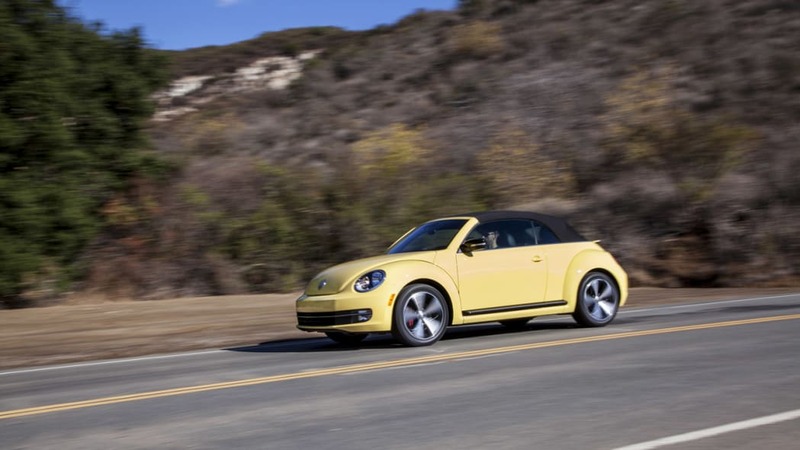 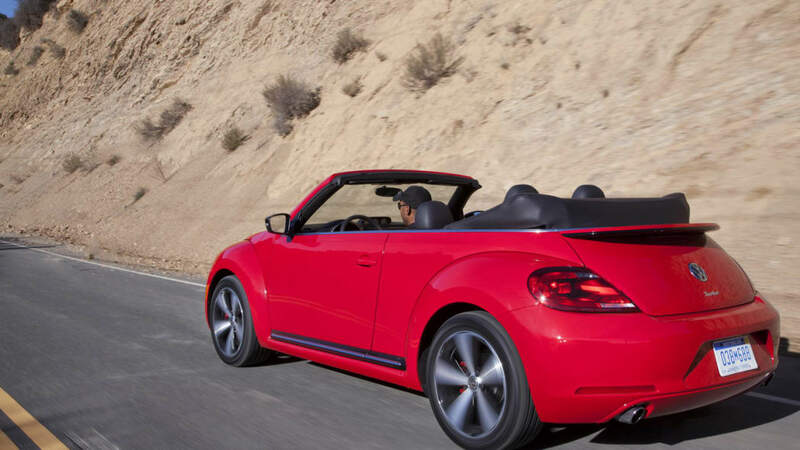 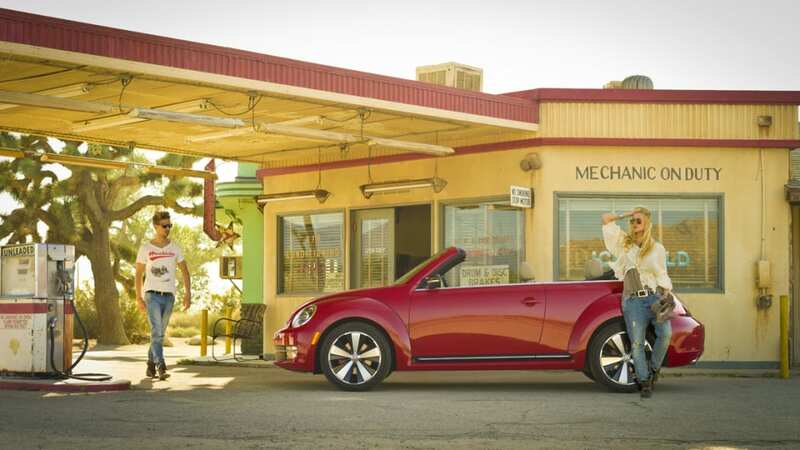 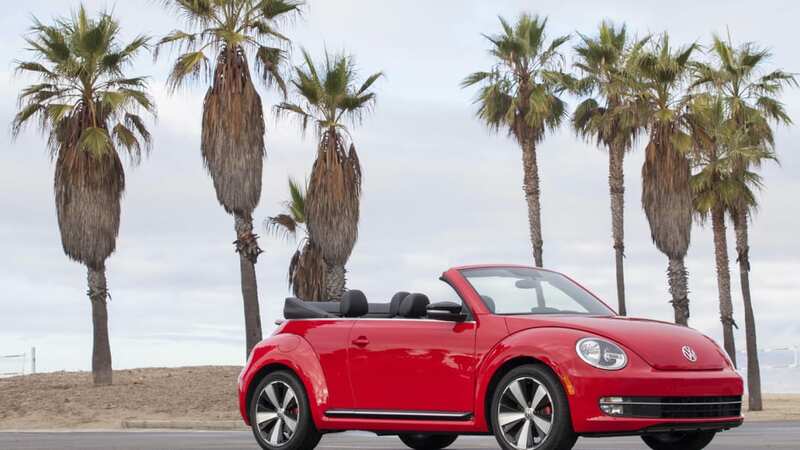 The new Beetle Convertible will be available in the United States with three engine options. 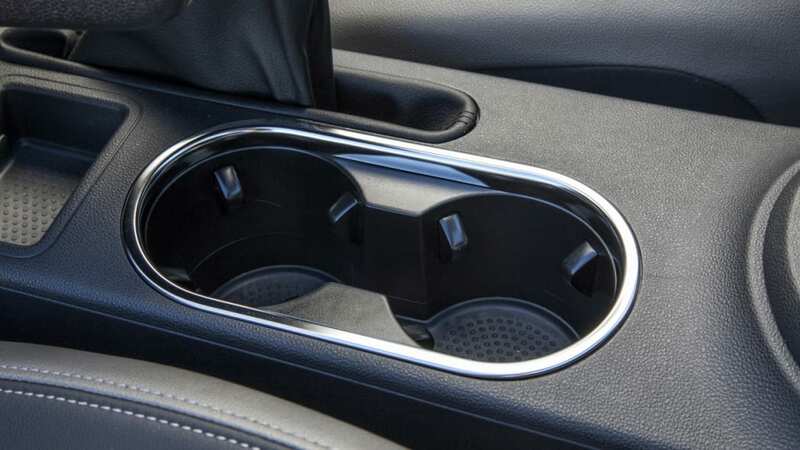 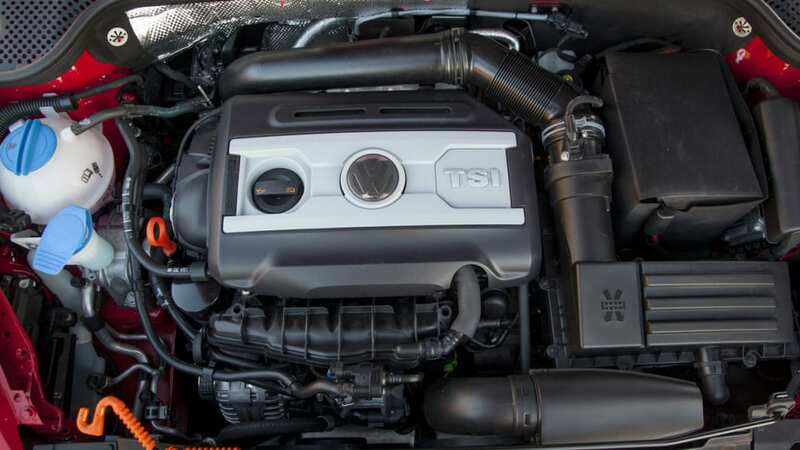 The entry-level powerplant is the familiar 2.5-liter five-cylinder engine that makes 170 horsepower and 177 pound-feet of torque, mated to a six-speed automatic transmission. 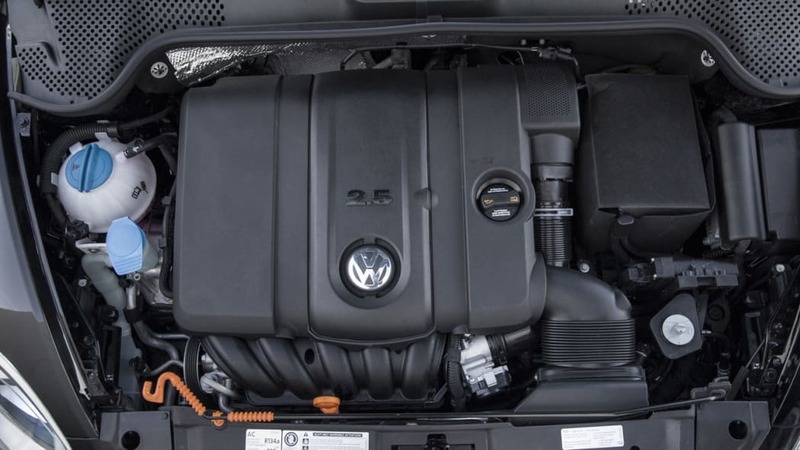 Volkswagen's fuel-efficient 2.0-liter TDI® Clean Diesel four-cylinder engine makes 140 hp and 236 lb-ft, but just as importantly delivers an EPA estimated fuel economy figure of 41 mpg on the highway with the six-speed manual transmission. 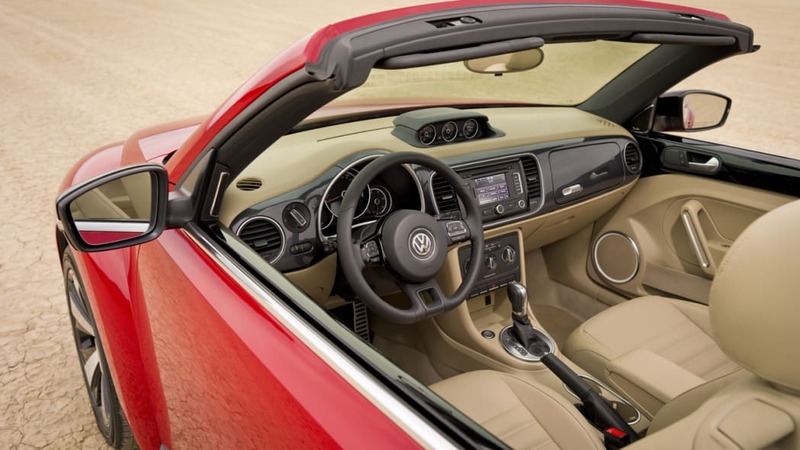 (A six-speed DSG® dual-clutch automatic is also available with this engine.) 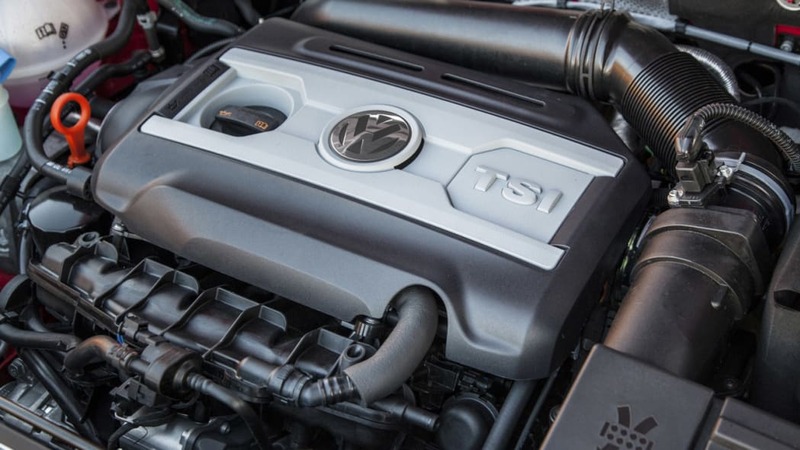 Finally, the 2.0-liter turbocharged TSI® four-cylinder, which makes 200 hp and 207 lb-ft, can be ordered with either a six-speed manual or DSG automatic.